Ha! A very, very nice Christmas gift from my personal Label of the Year. 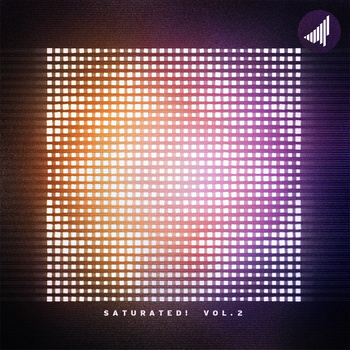 Saturate Records has just released the second V.A. compilation showcasing the works by talented producers from across the globe (though mainly from the Old Continent) under one common denominator - Super Quality Beatz in Abundance. If you are wondering what directions, paths or angles the nu beatz / twisted hip-hop / experimental dance music scene will follow next year, in Saturated! VOL 2 you'll find fine examples. Just listen to the tracks on this compilation and you'll catch the vibe. My personal highlights include, among others, mind-bending tunes by oneone, Subp Yao & Bios, Racoon X, Phokus & Grapes, Microburst or Kijk Een Ster. Never heard of them ?? Time to catch up with the names, 2012 will belong to them. Definitely, one of the best releases this year!!!! Highly recommended by Doktor Krank. Grab it on Pay-What-You-Want basis through bandcamp.